Compact & Easy to Use! 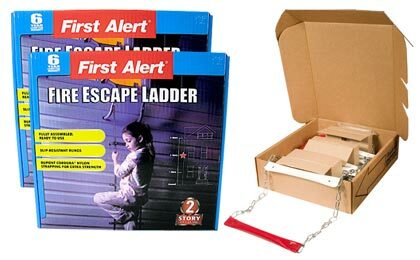 Evacuate to safety with our window fire escape ladders from Bold Industries and First Alert. Perfect for homes, apartments and offices. Part of any complete fire emergency plan must include an escape route from anywhere in your home or workplace. Our fire escape ladders are sturdy enough to get you to safety, yet compact enough to store most anywhere. Get everyone out of danger quickly and safely!